Marvel Now 2017 & Secret Empire May 2017 Solicitations Spoilers: Secret Empire #1, #2 & #3 Final Covers & Solicits Plus April’s #0 Solicit Finally! 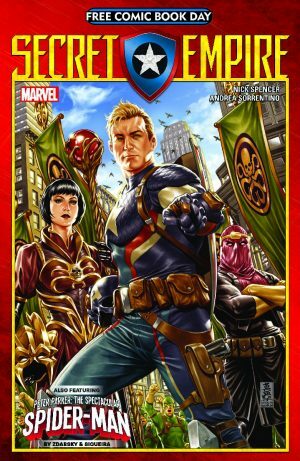 Marvel Now 2017 and Secret Empire May 2017 Solicitations Spoilers follow. 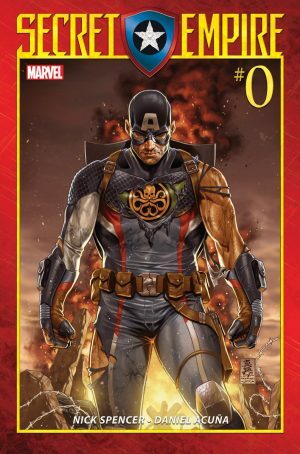 CB has the scoop on what to expect from Secret Empire #1 and #2 in May 2017! 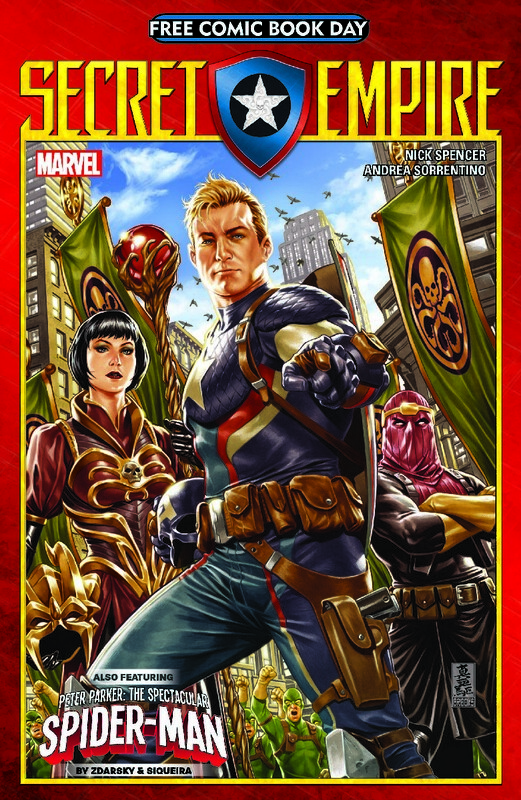 Then there is Secret Empire #3 where we don’t have the Mark Brooks cover yet, but Newsarama has the solicitation information. A mysterious one-shot is also coming in May 2017 bereft of cover art and solicit. 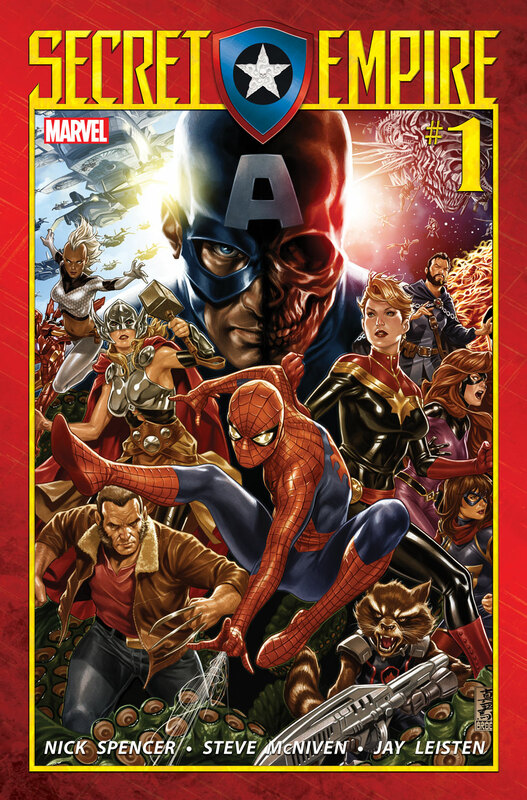 The official solicitation for April 2017’s Secret Empire #0 remains sparse unless you visit comixology! 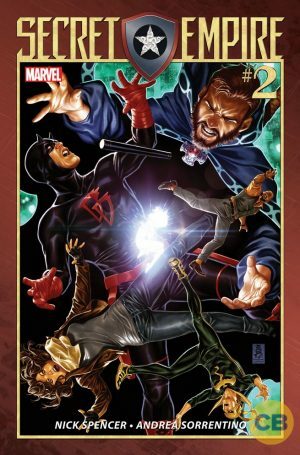 The Marvel Universe is under siege from within! Captain America, secretly a true believer in the cause of Hydra, has turned his back on the Super Hero community. Using the trust and respect he has gained over the years he has ascended to a position where he can enacts Hydra’s ideals. The death of Jack Flag, the trial of Maria Hill, the second Civil War, the alien Chitauri Queen. All of the dominos of Captain America’s plan have been laid out – and it will take only the slightest push to set them into action! Now, the Avengers, the Champions, the Defenders, the Guardians of the Galaxy, the X-Men and more will be tested. As Hydra’s grip tightens around the Marvel Universe, the heroes stand at the precipice of an unprecedented challenge. How will they Marvel Universe cope with this shattering betrayal by the most trusted among them? 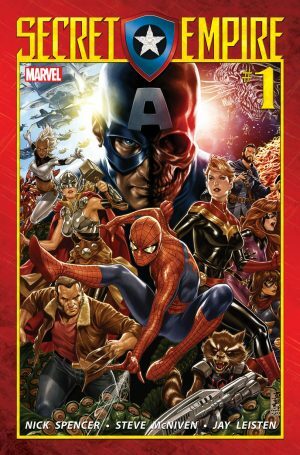 While the solicitation for the Free Comic Book Day 2017 (FCBD 2017) Secret Empire edition is non-existent. Just the FCBD cover has been released so far.